Ask The Intern: Obligation to Share Fantasies? 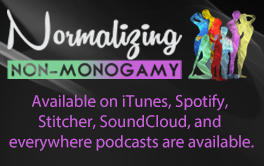 Do you feel that your partner is somewhat obligated to share their sexual fantasies with you, no matter how vanilla or bizarre? I’d love to know what my wife’s deepest darkest fantasies are but she says she doesn’t have any (ya right). Do you have any advice on getting it out of her, and do you feel like I do, that she sorta owes it to me as her partner and husband of 20yrs? I’ve assured her that nothing she could say would bother or upset me, and that I just want to do go with it and have fun, but she refuses. Is it any of my buisness? Thanks! Your wife is not “obligated” to do anything. It doesn’t matter if you’ve been married for fifty hours or fifty years, she has the right to reveal her fantasies whenever she wants. That being said, don’t take her shyness personally. When it comes sharing fantasies, everyone has a different comfort level. Some people love it. Some people hate it. Some people never reveal their fantasies, no matter how open and honest their partnerships. Why? Because, for these folks, fantasy needs to stay in the private world of their sexual imagination in order for it to remain arousing. Moreover, consider the possibility that your wife may not fully understand her own desires. She may be confused, scared, or overwhelmed by what she wants and/or thinks. Verbalizing and explaining these fantasies may make them seem too real. In other words, she may not be afraid of revealing her desires to you, her husband, but rather, afraid of revealing them to herself. My advice? Tell her your fantasies. Open up to her the way you want her to open up to you. When you ask her about her fantasies, don’t pressure her into revealing them or scoff if she says she has none. Give her time. Remind her that you would be accepting of anything and everything (that is, if you are accepting of anything and everything. Do not lie.) Most importantly, remember that she is not required to tell you her fantasies. They are her thoughts–not yours.